Delhi is huge, noisy, and for many people also a bit scary. But Delhi is more than just the ever-growing and always busy capital of India, constantly threatening with bursting from its seams. Indeed, there are countless charming and exciting facets to discover here: monuments and forts that tell sad and adventurous stories, and speak of the tragic fate of many heroes and heroines; vibrant places full of joy and color, where the old and the modern go hand in hand; and people (so many people!) from all the corners of India and the whole world. Delhi is and offers so much, that it can be overwhelming in its complexity. We chose 10 of our most favorite places and activities to make it easier for you to chose which place is right for you. 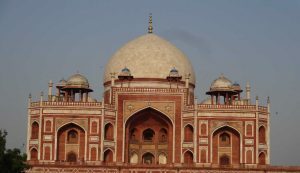 The Humayun’s tomb is one of the most interesting sites of the Mogul’s time. The construction of Delhi’s first Mogul’s grave was begun in 1564 after the death of the second Mughal ruler. Haji Begum, Humayun’s widow and mother of Akbar (1542-1605), kept a watchful eye on the works and even moved to its vicinity to better manage its construction. 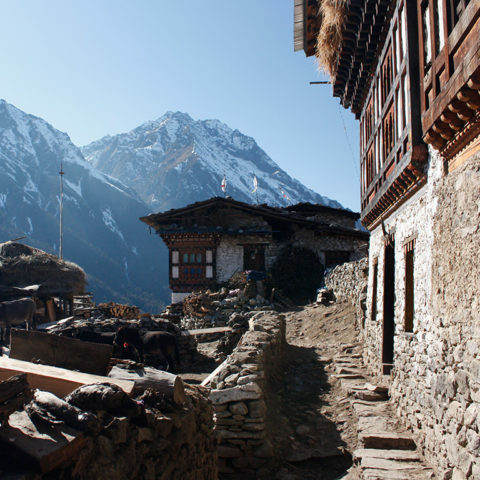 It served as a refuge for the last emperor, Bahadur Shah II (1775-1862), whom the British captured here in 1857. Due to its elegant Persian style, the grave is considered one of the most magnificent historical buildings in Delhi. The first buildings of Muslim India are known today as the Qutb Complex. They were built on the ruins of Lal Kot, a fortress built in the 8th century by the Tomara Rajputs and expanded further in the 12th century by the Chauhans. Today one of Delhi’s most famous landmarks is found here: the pointed red sandstone tower of the Qutb Minar. A dominating presence amidst the ruins, the over-70-meters-high Qutb Minar is decorated with beautiful ornaments and verses of the Quran. 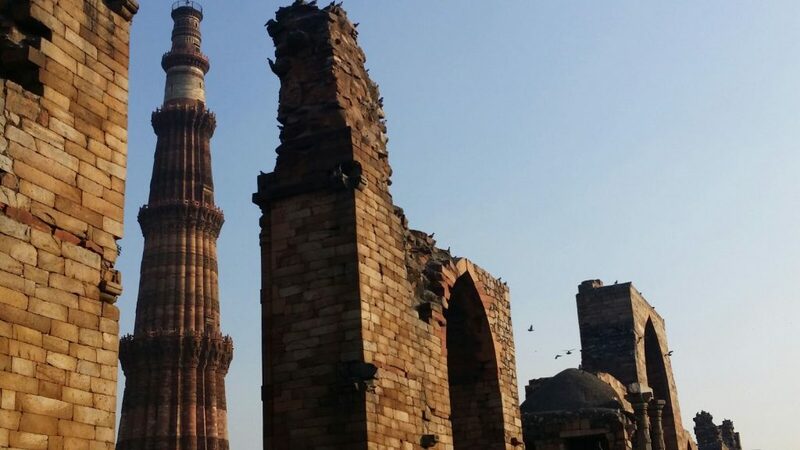 The minaret was built in 1199 as a siege tower in conjunction with the ancient mosque of Qutb-ud-Din Aibak (1150-1210), founder of the Sultanate of Delhi. This marked the beginning of the Muslim supremacy over Delhi and a large part of the Indian subcontinent. 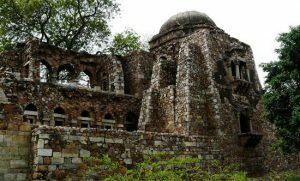 The Hauz Khas complex in the south of Delhi encompassed a water reservoir, a mosque, a mausoleum and several pavilions around an urbanized medieval village with a story dating back to the 13th century of the Sultanate of Delhi. 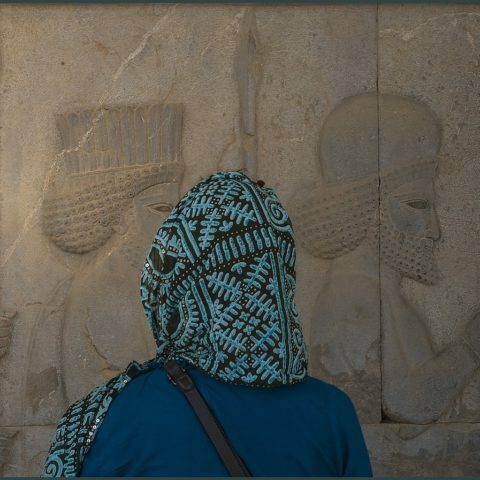 It was part of Siri, the second medieval city of India in the Sultanate of the Allauddin Dhilji Dynasty. The name Hauz Khas is Farsi in origin and means “royal water tank” or “royal lake”. The reservoir was built by Khilji to supply the inhabitants of Siri with water. In the time of Firuz Shah Tughlaq, the tank was decontaminated. Various religious buildings surround and guard the lake. Today’s Hauz Khas complex also includes a modern area with galleries, boutiques and restaurants. The Akshardam Temple, also called Swamirayan Temple, is the world’s largest Hindu temple complex. It is one of the most recent temples of Delhi – the opening took place in 2005 – and in many ways it reminds of a religious theme park. A visit to this contemporary architectural wonder is undoubtedly recommended, but you have to remember to save enough time for it. One can spend easily a whole day in the complex. 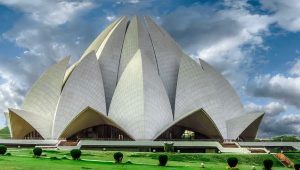 The Lotus Temple is the newest of the world’s seven Bahá’í temples. 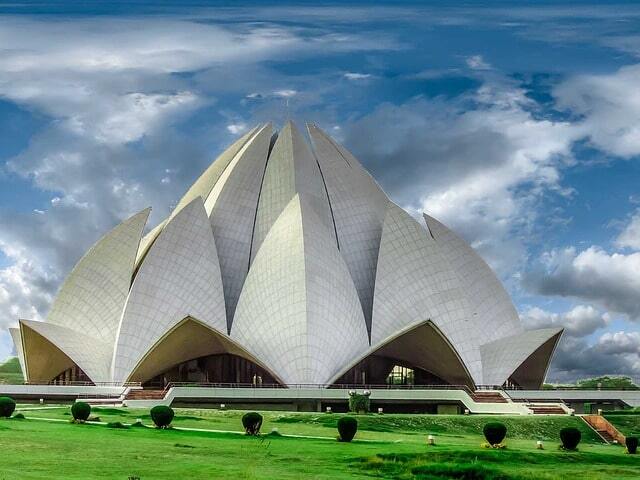 The name derives from the shape of the building, which is reminiscent of a lotus flower. The building was opened on December 24, 1986, and since then has won numerous architectural awards and has been pictured in countless magazines and newspapers. The sacred building is one of the most famous of the Bahá’í faith and is visited annually by about three million people. The building is an outstanding example of modern architecture in India. 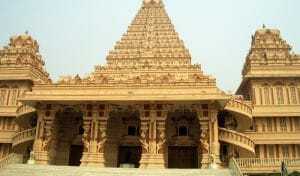 The Chhatarpur Temple – or Shri Aadya Katyayani Shakti Peetham – is also located in South Delhi. It is considered the second largest temple in India, and third in the world, and is dedicated to the goddess Katyayani. The temple was founded in 1974 by Baba Sant Nagpal Ji, who died in 1998. 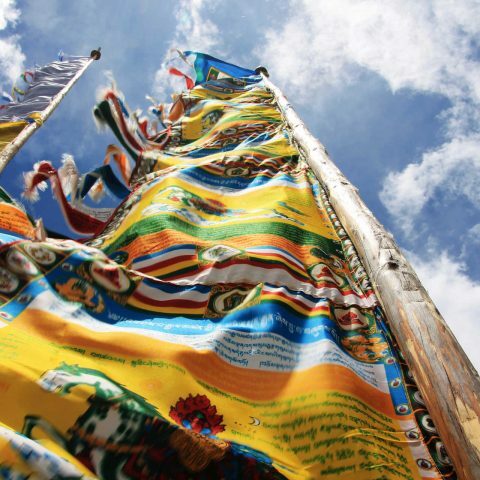 This temple is totally constructed with marble in what is classified as a Vessara style of architecture. Dilli Haat is THE market by definition: an open-air food-and-handicrafts market in southern Delhi. 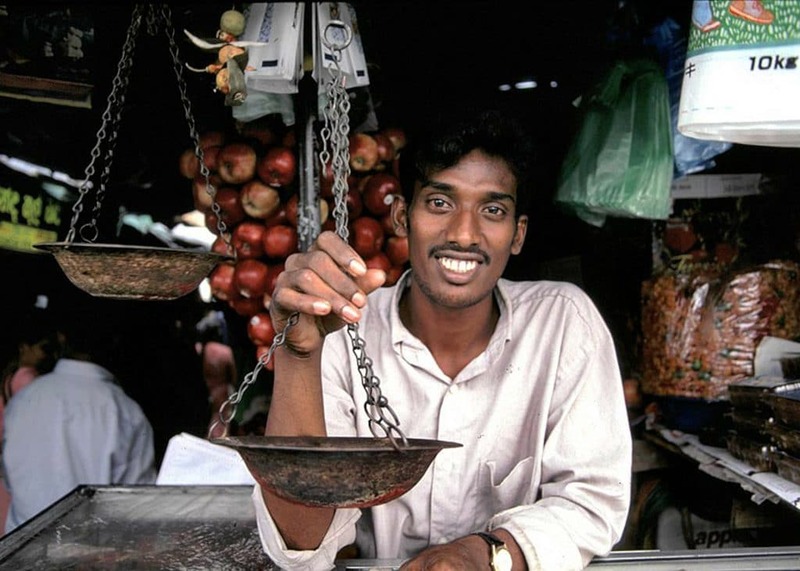 Merchants from all over India sell their products here: wood carvings, textiles, jewelry, pearls, metalwork, silk, clay works, paintings… in short, everything that makes the heart of a souvenir hunter beat faster. The dealers change every 15 days, so it is important to try and seize as much of Dilli Haat’s diversity as possible. If you get hungry while shopping here, there is no need to leave the area: there are many excellent restaurants and food stands next to the selling booths and huts. The Janpath Market has a long history. It takes its name from the street that connects Connaught Place to Lodhi Road, and along which the market extends from beginning to end. The Janpath market is particularly popular with those who like to buy cheap – and this doesn’t only apply to tourists, but it’s true especially among the inhabitants of the big city. 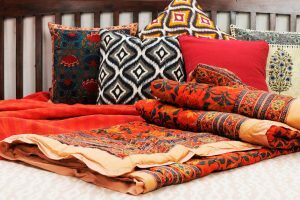 From the trendy to the modern to the classic and exotic, everything can be found here, making this market a frantic paradise for bargain hunters of all sorts. 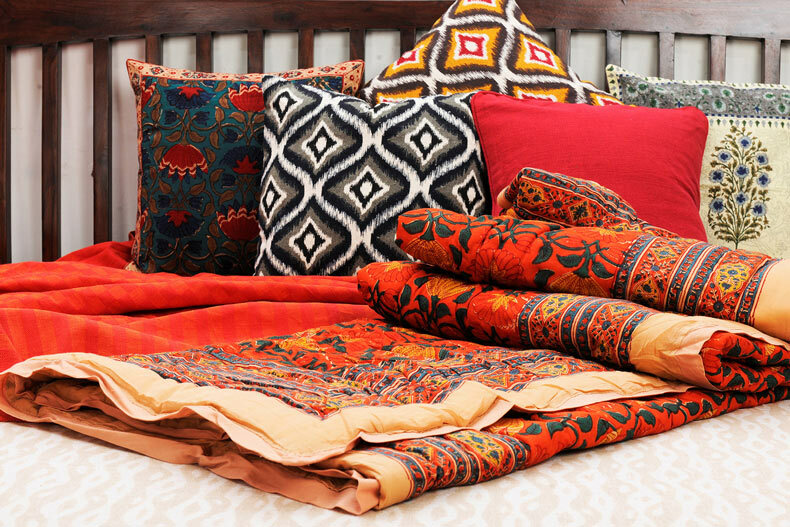 Fab India is an Indian shopping chain focused on textiles, furniture and fair trade products. 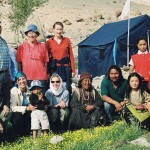 All goods are made by craftsmen and artists from rural India. The first shop was opened in 1976 in Delhi. Today, there are more than 250 branches throughout India and abroad. The products of Fab India are especially great, because a part of the earnings are destined to improve the village infrastructures and support the development of the countryside. 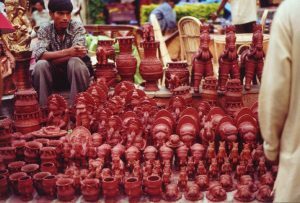 A total of more than 40,000 artists and craftsmen distribute their goods through Fab India. Sightseeing can be as interesting as exhausting, so either between visits or at the end of the tour we will need to recover our energies with a meal in a restaurant. In this case, one that serves typical Mughlai-Food. 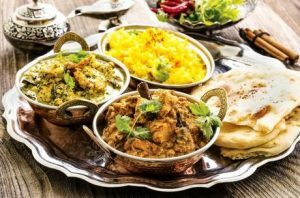 The cuisine of the Moguls has strongly influenced the North Indian cuisine. It includes both very mild and spicy dishes, with a distinctive aroma and the taste of grated and whole spices. 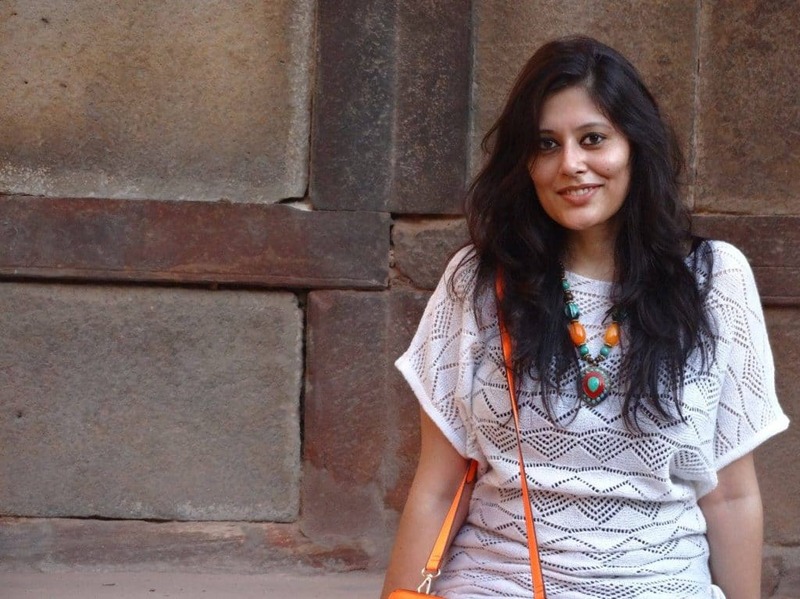 Debashree will take you to a Mughlai restaurant and enjoy lunch (or early dinner) with you. If you want to discover Delhi in a special way, you can do this with our great Debashree. Debashree is actually a journalist, but she’s grateful for every chance to leave the desk and show her city with fervent enthusiasm. The tours with Debashree may be slightly more expensive than regular sightseeing tours in Delhi, but they are absolutely worth it because you get to see the city through her eyes. Nothing could be more personal and authentic! The Moguls have influenced Delhi in many ways. Discover their history with Debashree and visit the Lodhi Gardens, the Tomb of Humayun, the Qutab Minar, the Hauz Khas Village and Purana Qila. Lunch is served in a Mogul restaurant. 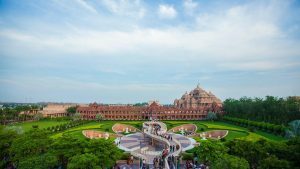 This tour focuses on the spiritual side of Delhi and includes visits to a selection of the following temples: Iskcon, Lotus, Jagannath, Chhatarpur and Askhardham. Lunch is served in a vegetarian restaurant. Wanna go on a hunt for souvenirs? 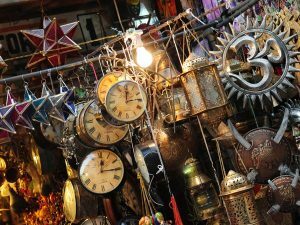 Debashree takes you to the best markets and helps you deal with the (in)famous and persistent Indian haggling culture: Janpath Market, Lajpat Market, Dilli Haat and / or Paharganj Market. No commission! During the (pre) monsoon season, especially between May and September, shopping is considerably more pleasant in AC-equipped shops and malls. Debashree takes you to the shops at the Khan Market, the Hauz Khas Village, the Greater Kailash Market and the Janpath Emporium.